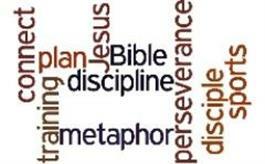 In the Bible, sports are occasionally used as metaphors for discipleship. This lesson plan connects the lessons that can be learned by playing a sport with how to constantly be in training as a disciple of Jesus Christ. While this topic will connect with all participants, consider leading this lesson with those who have some kind of background in sports or competition.